Providing guests with something they can appreciate during your party is a thoughtful gesture and enriches the experience of watching the game altogether. Plus diehard fans will love taking home a collectable souvenir that they can cherish for years to come. From stadium cushions, ponchos, cooler jugs, to UV-ray shielding sunglasses and foldable chairs, here are six fun and thoughtful ways to show love for your favorite team! 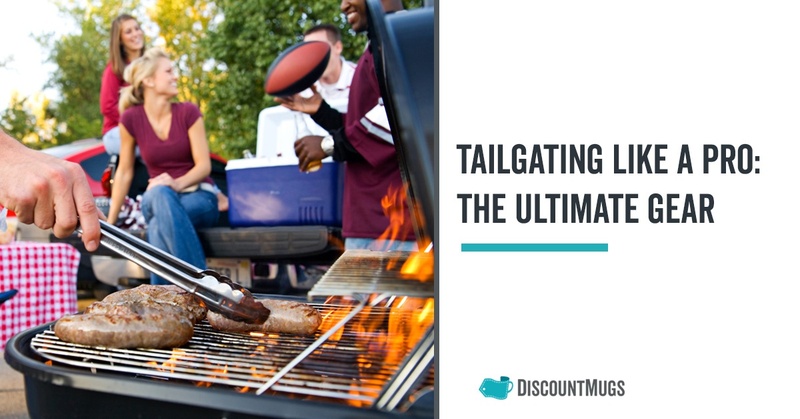 Are you throwing a tailgating party, and fear the potential for inclement weather? 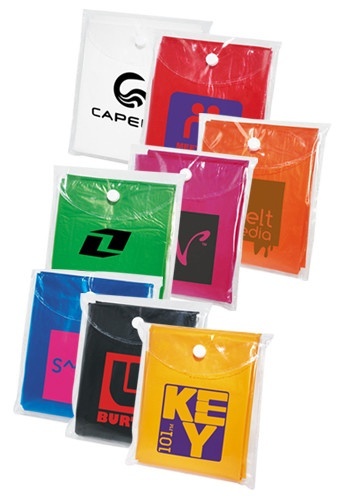 You and your guests won’t have to worry about the rain with personalized ponchos and umbrellas. With over ten color options available, a customized umbrella makes a great giveaway to fellow fans and can be easily stored when the weather clears up. Customized with your favorite team’s logo, the umbrellas are a great way to drive attention to your team spirit. The poncho comes in blue, black, lime green, orange, neon pink, red and yellow! With a lot more coverage than the umbrella, a poncho will keep your guests fully covered in bad weather, plus they’re easily foldable for storage! Who doesn’t love a nice, dry seat to watch the big game? 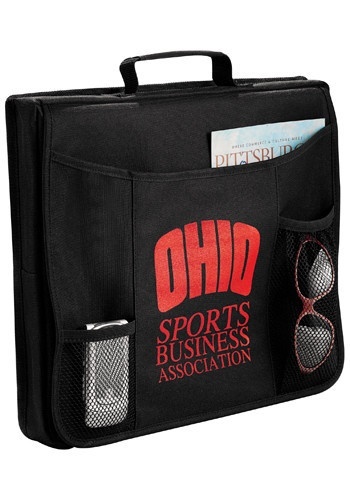 You can win over your guests with customized stadium seat cushions that have your favorite team’s logo on it! These seat cushions make a great gift at outdoor sporting parties because they can be used during the game, and also games to come. With a convenient carrying handle, these seat cushions are a pleasure to tote around, and some styles even have a front slip pocket for your phone or keys. Sports team logos are sure to stand out beautifully with our high-quality customization – select from color options that include black, red and blue. Show your guests how much you care about their wellbeing with ways to protect their skin and eyes during the game! 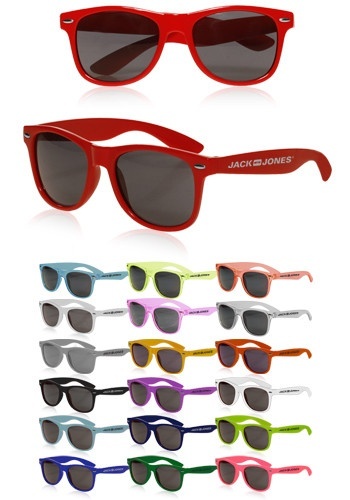 Customized sunglasses are a fun and effective giveaway at tailgating parties, and help get your guests in the spirit of the game. They’ll love sporting the team’s logo and will be able to use them at other outdoor sporting events! You can give this souvenir an upgrade by adding customized sunscreen bottles! Sitting in the sun at outdoor sporting events can cause our skin to burn, so why not provide your fellow fans with a way to prevent that? Some styles of sunscreen bottles even come with a clip so your guests can secure their UV protection to a belt loop or tote. Eliminate those moments when you wish you’d had a place to sit! 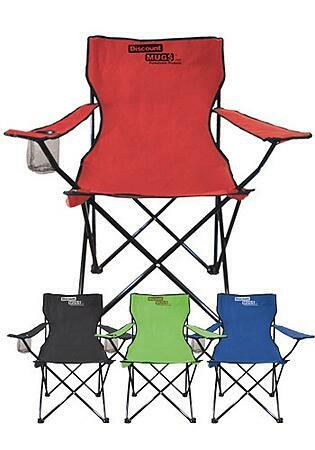 Give the gift of a secure seat, anywhere, anytime, with personalized camping folding chairs. Customized with your favorite team’s logo, these chairs are a perfect souvenir at any tailgating or outdoor sporting event. They’re easily storable in a carrying bag of their own, and can support up to 250 pounds. Your guests will enjoy viewing the game from their new customized chairs! Select styles come with included drink or snack coolers. Undeniably cool with their functional duality, these folding chairs have the ability to store up to 12 beverage cans. Your guests will love having a way to keep their drinks cool while watching the game. Where the weather is colder, loyal fans still make the trip to watch their team in the frosty air. Keep your guests warm and cozy with a customized blanket to reflect their favorite team! Customizable blankets are a cool giveaway for tailgating parties, but they’re also great outdoor products they can sport to the beach and even camping. 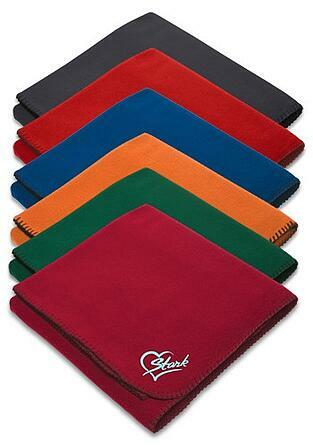 They’re crafted of durable, soft fleece, plush or Sherpa, and will keep loyal fans warm during the game. One cool feature about these blankets that guarantees continued use is how easy they are to store and carry – some styles even have a sewn-in handle. Some blankets have a washable surface, they’re ideal for game day events where food and drinks have the potential to spill. It’s incredible what a difference the right tools can make, and personalized grill and BBQ sets are a gift your fellow sports fans can use all year long – plus they’ll definitely set you apart as the grill master. And if you’re feeling a little giving, you can even buy a few sets to gift to your fellow fans. Celebrate the Big Game day with tools that will put those infallible recipes under your belt, and customize with your team logo or name. 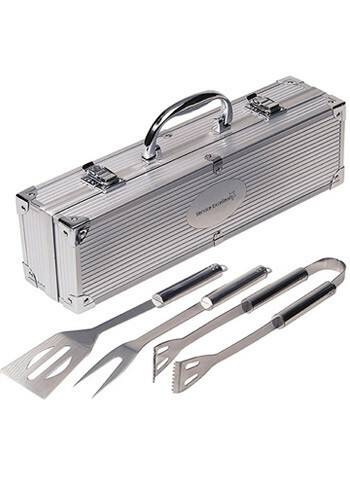 Some Grill sets come equipped with knives, thongs, spatulas, skewers, corn holders and other essentials that are sure to impress your friends. Make sure to look like the grilling expert you were born to be and don’t forget to throw in a few koozies for the occasional beer! Football season is now, and it’s never too early to prepare. Let us know what you thought of our guide in the comments below, and share with your friends in time for the game.